Fleetwood Mac are a British-American rock band formed in 1967 in London when guitarist Peter Green left the British blues band John Mayall & the Bluesbreakers. Green would be joined by drummer Mick Fleetwood, slide player Jeremy Spencer and bassist Bob Brunning who was later replaced by John McVie. Fleetwood Mac's first album, “Fleetwood Mac,” was a no-frills blues album and was released on the Blue Horizon label in February 1968. The album was successful in the UK, hitting no.4, though it did not have any singles on it. The band soon released two singles "Black Magic Woman" (later a big hit for Santana) and "Need Your Love So Bad". Shortly after the release of their second album Fleetwood Mac added guitarist Danny Kirwan. With Kirwan the band released their first number one single in Europe, "Albatross". Green's mental stability deteriorated, and he wanted to give all of the band's money to charity. Some other members of the band did not agree, and subsequently Green decided to leave the band. His last show with Fleetwood Mac was on 20 May 1970. The album the band members released in 1977 was “Rumours,” in which they laid bare the emotional turmoil experienced at that time. Critically acclaimed, it was the recipient of the Grammy Award for Album of the Year for 1977. Hit singles included Buckingham's "Go Your Own Way", Nicks's U.S. #1 "Dreams" and Christine McVie's "Don't Stop" and "You Make Loving Fun". Buckingham's "Second Hand News", Nicks' "Gold Dust Woman" and "The Chain" also received significant radio airplay. By 2003, “Rumours” had sold over 19 million copies in the U.S. alone (certified as a diamond album by the RIAA), and a total of 40 million copies worldwide, maintaining its status as one of the biggest-selling albums of all time. The quirky 20-track double album, “Tusk” was released in 1979. It spawned three hit singles; Lindsey Buckingham's "Tusk" (U.S. #8), which featured the USC Trojan Marching Band; Christine McVie's "Think About Me" (U.S. #20); and Stevie Nicks' 6½ minute opus "Sara" (U.S. #7). The next album, 1982's “Mirage” was a return to the more conventional. Its hits included Christine McVie's "Hold Me" and "Love In Store" Stevie Nicks's "Gypsy", and Lindsey Buckingham's "Oh Diane", which made the Top 10 in the UK. A minor hit was also scored by Buckingham's "Eyes Of The World". Following “Mirage,” the band went on hiatus, which allowed members to pursue solo careers. The “Rumours” line-up of Fleetwood Mac recorded one more album for the time being, “Tango in the Night,” in 1987. Initially, as with various other Fleetwood Mac albums, the material started off as a Buckingham solo album before becoming a group project. The album went on to become their best-selling release since “Rumours,” especially in the UK where it hit no. 1 three times over the following year. The album sold three million copies in the USA and contained four hits: Christine McVie's "Little Lies" and "Everywhere", Sandy Stewart and Stevie Nicks's "Seven Wonders", and Lindsey Buckingham's "Big Love". "Family Man" and "Isn't It Midnight" were also released as singles, with lesser success. After “Tango in the Night,” Buckingham left the band and Fleetwood Mac added two new guitarists to the band, Billy Burnette and Rick Vito. Burnette was mainly added for his singing and songwriting skills and Vito for his lead guitar abilities. Capitalising on the success of “Tango in the Night,” the band continued with a “Greatest Hits” album in 1988. It featured singles from the 1975–88 era, and included two new compositions: "No Questions Asked" written by Nicks, and "As Long as You Follow" written by McVie and Quintela, which was released as a single in 1988 but only made #43 in the US and #66 in the UK. It did, however, reach #1 on the US Adult Contemporary charts. The “Greatest Hits” album, which peaked at #3 in the UK and #14 in the US (though has since sold over 8 million copies there), was dedicated to Buckingham by the band, with whom they had now reconciled. 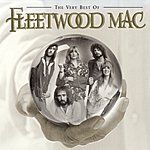 Following the “Greatest Hits” collection, Fleetwood Mac recorded “Behind the Mask.” “Behind the Mask” only achieved Gold album status in the US, peaking at #18 on the Billboard album chart, though it entered the UK Albums Chart at #1 and the album yielded only one Top 40 hit, McVie's "Save Me". The Buckingham/Nicks/McVie/McVie/Fleetwood lineup reunited at the request of U.S. President Bill Clinton for his first Inaugural Ball in 1993. Clinton had made Fleetwood Mac's "Don't Stop" his campaign theme song. His subsequent request to perform it at the Inauguration Ball was met with enthusiasm by the band, however this lineup had no intention to reunite again. 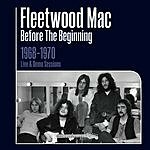 Inspired by the new interest in the band, Mick Fleetwood, John McVie, and Christine McVie recorded another album “Time” as Fleetwood Mac, adding Traffic's Dave Mason, and with Billy Burnette taking on lead guitar duties. Although hitting the UK Top 60 for one week the album had zero impact in the US. It failed even to graze the Billboard Top 200 albums chart. “Say You Will” was released in 2003. It was the first Fleetwood Mac album in over 30 years not to include tracks written by vocalist/keyboardist Christine McVie, who had left the group in 1998. McVie is featured on two songs, which had been originally recorded for an unreleased Lindsey Buckingham solo album (tracks 13 & 14). It also marks the first studio album in 16 years to feature Buckingham back in the fold. “Say You Will” was the first Fleetwood Mac studio album to peak in the top 3 in the US since 1982's Mirage. The album was certified Gold by the RIAA in July 2003 for 500,000 copies sold in the US. As of January 2009, it had sold 858,000 copies according to Nielsen SoundScan. It has also been certified Gold in the UK for 100,000 copies sold. It is the last studio album by the band to date. Worldwide, Fleetwood Mac have sold more than 120 million albums.